Amazon Smartphone: Dialing Up Pressure on RIM BlackBerry? Amazon (NASDAQ: AMZN) apparently is preparing a smartphone. Microsoft is readying Windows Phone 8. Apple iPhone 5 seems set for late 2012. Samsung Galaxy handsets continue to hum along. Amazon (NASDAQ: AMZN) apparently is preparing a smartphone. Microsoft is readying Windows Phone 8. Apple iPhone 5 seems set for late 2012. Samsung Galaxy handsets continue to hum along. And RIM hopes to survive and ship BlackBerry 10 in early 2013. Instead of focusing on fierce smartphone competition, channel partners must shift their attention to complete mobile device management (MDM) and mobile application management (MAM) options. Here’s why. 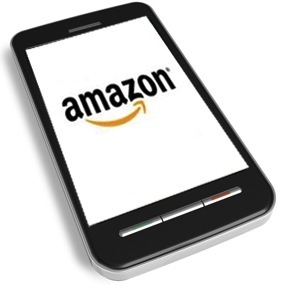 The Wall Street Journal suggests Amazon’s smartphone will arrive in late 2012 or early 2013. Expect aggressive pricing as Amazon potentially positions the the smartphone as a doorway to the online retailer’s digital storefronts. Apple iPhone 5, with a screen larger than the current 3.5 inch display, apparently will surface in late 2012. Windows Phone 8 and Corporate Hub, for enterprise app management, appears poised for a late 2012 release. RIM is continuing mass layoffs and considering boardroom changes as the company prepares BlackBerry 10, which has suffered multiple delays. What’s a channel partner to do? Instead of worrying about who wins and who loses the smartphone wars (hey, it’s gonna turn ugly), select mobile device management and mobile application management platforms that blanket all of the major platforms: Apple iOS/iPhone, Google Android, Windows Phone and Research in Motion (RIM). A long list of big MDM software companies want your business. But smaller software firms like Level Platforms, which plays in the MSP market, have committed to supporting all for of the major mobile OSes. Channel partners should commit to doing the same.